First things first, let’s get one thing straight – when it comes to fashion, there’s no such thing as “rules”. Just trust your gut, wear what you want and wear it with confidence because as long as you feel good in it, chances are you’re going to look great in it. That said, just because we’re throwing all the rules out the window doesn’t mean we can’t have a set of trusty guidelines to make getting ready a little easier. 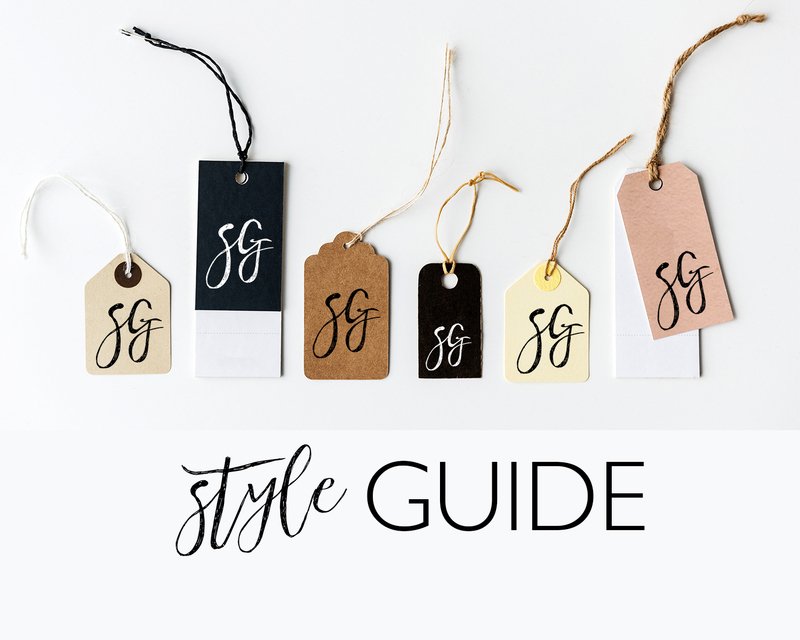 These are 9 of my most recommended suggestions when shopping and styling. Don’t focus on the label, focus on the fit. This is the thing I tell clients the most. We all are guilty of getting caught up in the number on the label, but the truth is, that sneaky little number isn’t standard from store-to-store or even garment to garment. 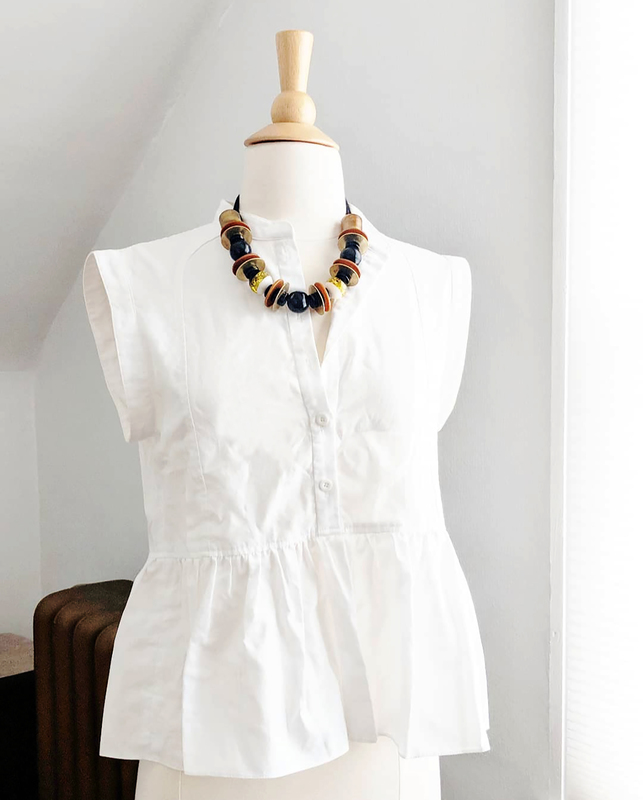 Hold it up to you, wrap the waistband around your neck (fun fact: this is the quickest way to tell if something will fit your waist, which happens to be double your neck size), and just try it on. Sometimes you’ll need to size up and sometimes you’ll have to size down. I have pieces in my closet that are extra small and things that are extra-large, so don’t let that label discourage you, it doesn’t mean anything anyway. When it comes to prints, remember, no more than two. 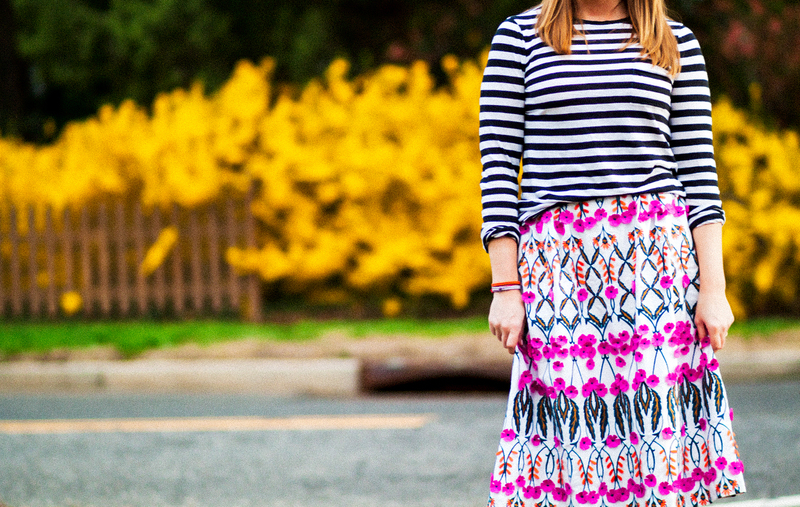 Prints are fun and I encourage embracing them with open arms. 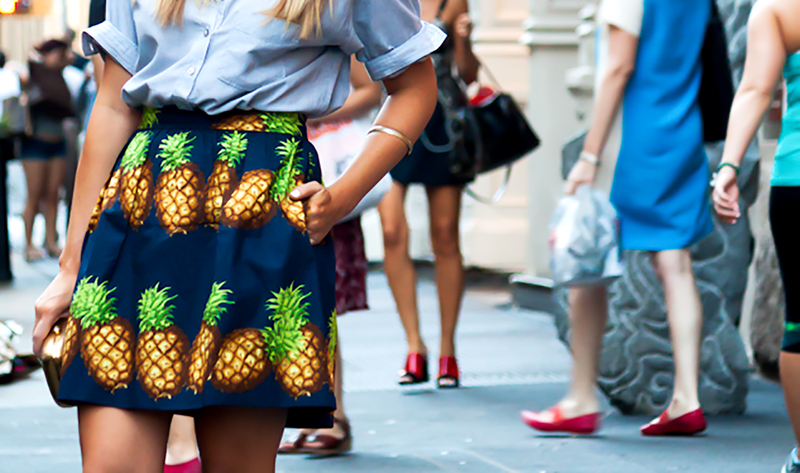 They make an outfit more interesting, especially when you mix two different prints. The key here is to make sure they’re in similar patterns or color families and stick to no more than two at a time. Anything more than that tends to be a busy hodgepodge that winds up wearing you. Master the art of the tuck. 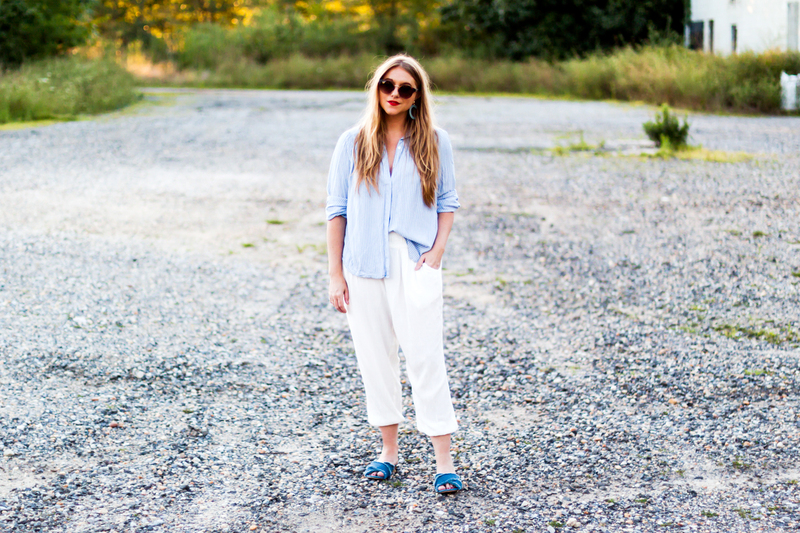 Did you know there are five basic ways to tuck in your top that you should be utilizing? There’s the front tuck – tucking in just the front portion of your top; the half tuck – tucking in either just the left or right side of your top; the naval tuck – using your thumb to tuck just a small front portion of your top centered near your belly button; the full tuck – a complete tucking in of your top; and, of course, no tuck at all. 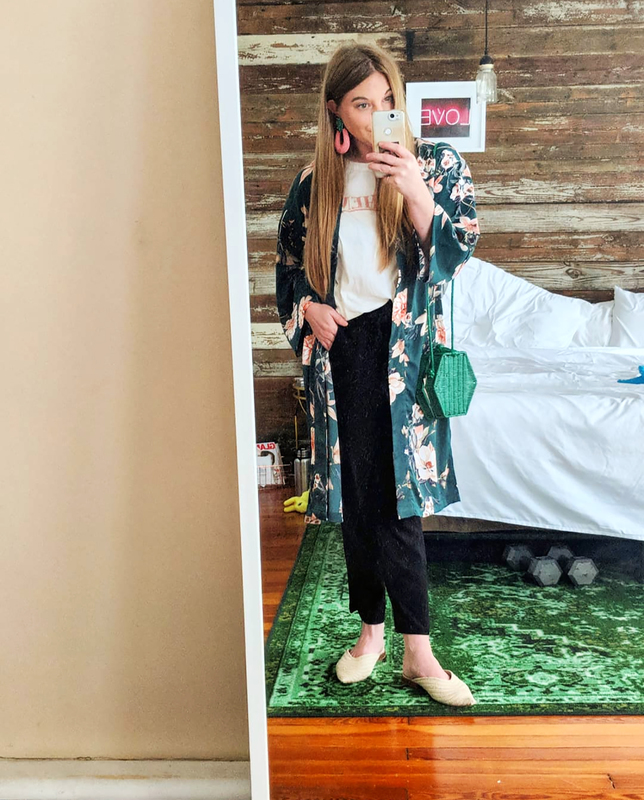 Each tuck brings with it a different vibe for your look and also has its own pros and cons (for instance, the navel tuck is great for giving an elongated illusion), so I suggest practicing them all and giving those tried and true pieces in your closet a fresh take. Another quick and effective way to completely change your look without spending a dime? Roll up those sleeves. A simple roll of the sleeve instantly creates a more styled look, and just like tucking there are many ways to do it. This is the one I tell all my clients to do though: fold your sleeve up halfway, then fold it over again, push this fold just past the elbow and fold over the excess cuff that’s left up. It looks simultaneously effortless and sleek. I generally find it’s a good rule to splurge on more timeless pieces – like say, a nice leather handbag or versatile jacket, and save when it comes to trendier items. If you can’t think of at least two ways to wear it or occasions you could wear it to then you probably don’t need it. For instance, can you wear it to a bridal shower and a work cocktail party? Then it’s a winner. Pair it with jeans or dress pants? Okay, it’s coming home with you. 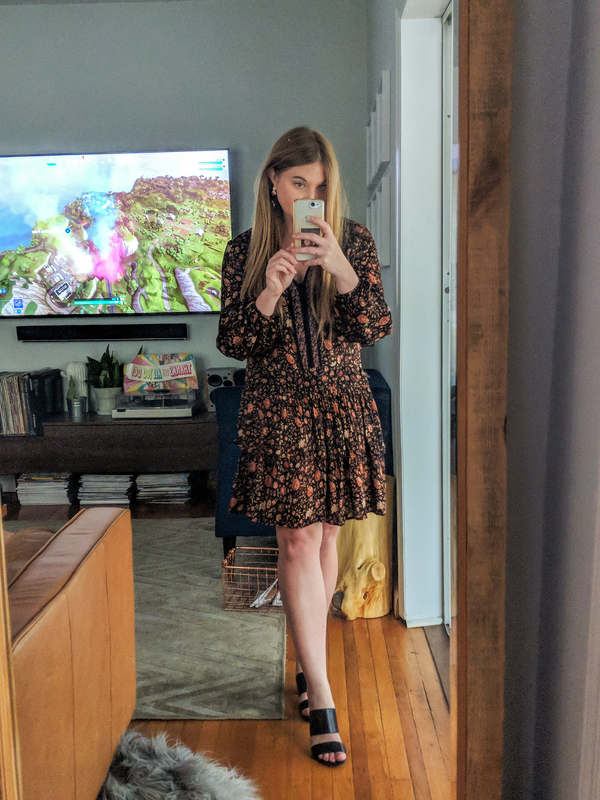 Wear it spring or fall? Sold! If it’s something you can only imagine wearing once or can’t picture anything in your closet you can wear it with, leave it where it hangs. When I’m shopping with clients, one of the first things I ask them is whether or not they have a trusted tailor. If the answer is no, I discourage them from buying anything that might require alterations. No matter how much you love something, the chances are, if you don’t already have a great tailor that thing is going to sit in the back of your closet collecting dust until you find one. Find the tailor, then put them to good use. A tailored fit makes a world of difference. You can buy those pants on sale or that inexpensive top that are just a touch too long or too big and with a little hemming they suddenly look and feel like they cost a million bucks. So ask around, do your research, and find yourself a tailor. No matter what your budget is, accessories are your best friend. You can switch up an entire look with accessories. Elongate your legs by matching your shoe color to your pant color, dress up a graphic tee with a statement earring, take a button-down top from day-to-night with a neck full of layered necklaces, a cute hat, a beaded bag, these little touches go a long way and don’t need to break the bank. But just keep in the back of your mind that less is more so don’t pile everything on at once. Finish your look with layers. Adding a layer can make an outfit feel more complete. If you feel like your look is missing something, consider reaching for a jacket. I personally think everyone should have a denim and leather jacket in their arsenal, but you also can’t go wrong with a good blazer for a polished, professional look. Other jacket MVP’s include a little olive-green or camo jacket, or even a kimono-style robe. When all else fails, find your uniform and stick with it. We all have those, “OMG I have nothing to wear,” days. This is why it’s great to have a uniform, an outfit formula you love and feel “you” in, that you can reach for when nothing else in your closet feels right. Mine? It’s a rock tee, silky robe jacket, and pants. I can make this more professional with nice pants and a plain tee, dress it up with heels and fun jewelry, or make it more casual with ripped denim, but I know no matter how I mix it up, I’ll still feel like “me” which, in turn, makes me feel confident. And, this is the only fashion rule that matters, when you feel good in what you’re wearing, you look good. A few other tips to keep in mind? Don’t save “special” pieces for an occasion, wear the sparkle on a Tuesday if the mood strikes. 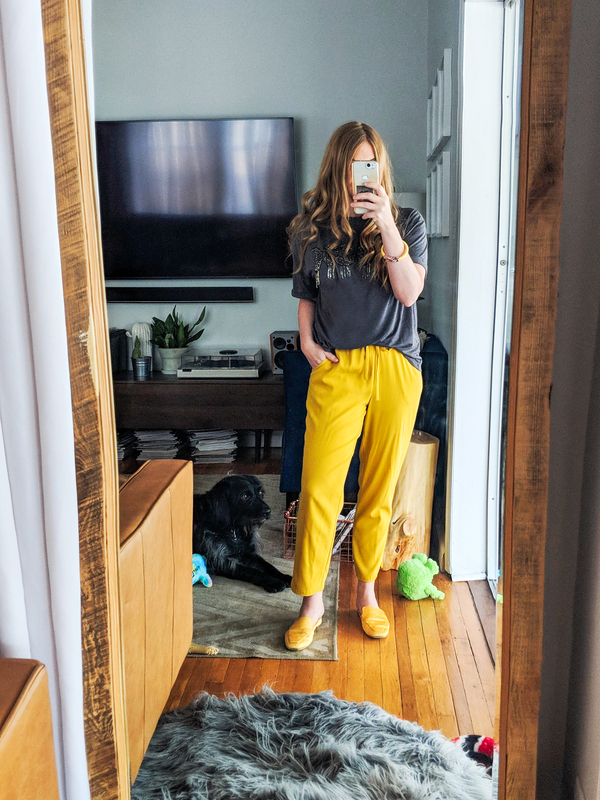 Invest in cute loungewear and you’ll avoid the internal debate about running out for a coffee on a Sunday morning because you don’t feel like getting “dressed” and are worried you’ll run into someone. The right undergarments, especially shapewear, are your friend and will make you look more streamlined overall. Take care of your clothing and wash it the right way and with the right tools. And finally, black is safe and therefore boring, wear more color!